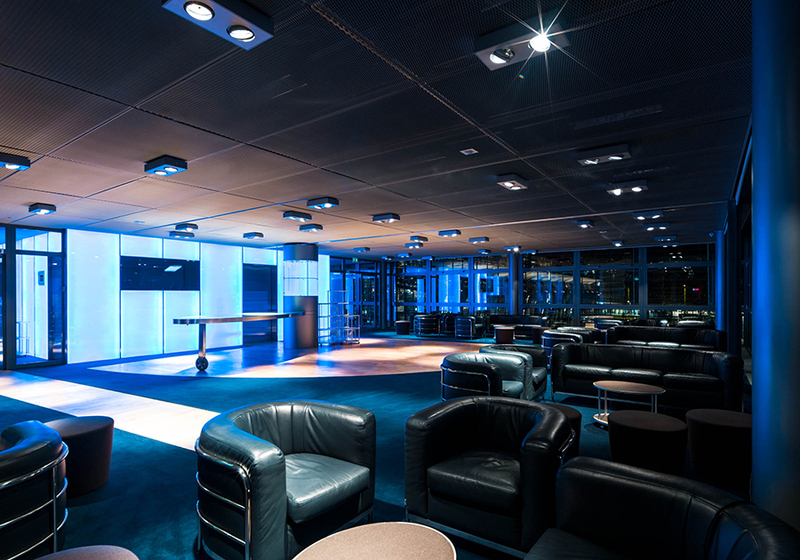 The Crystal Lounge is a high-quality meeting room, particularly suited to business meetings, client receptions, private dinners and aperitifs. 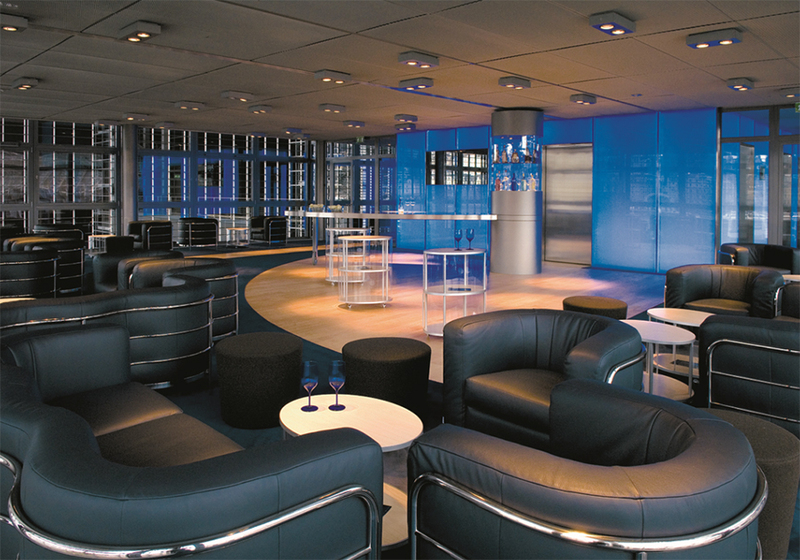 cocktails, meetings, relaxation – the Crystal Lounge provides a classic ambience with comfortable leather chairs and a blue tonal colour scheme. 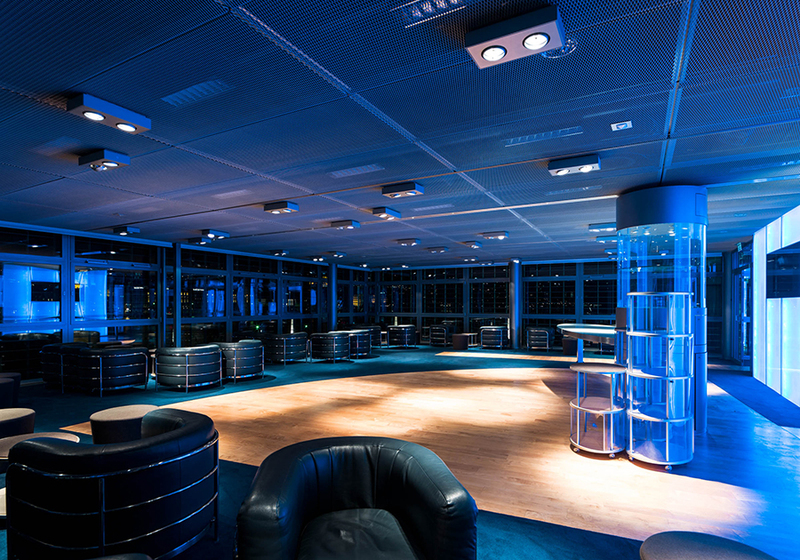 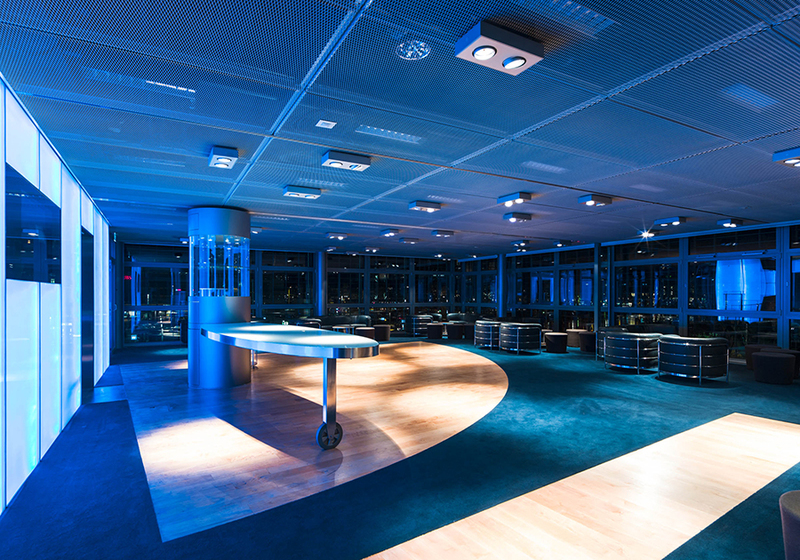 A blue-lit space occupies the central point of the venue. 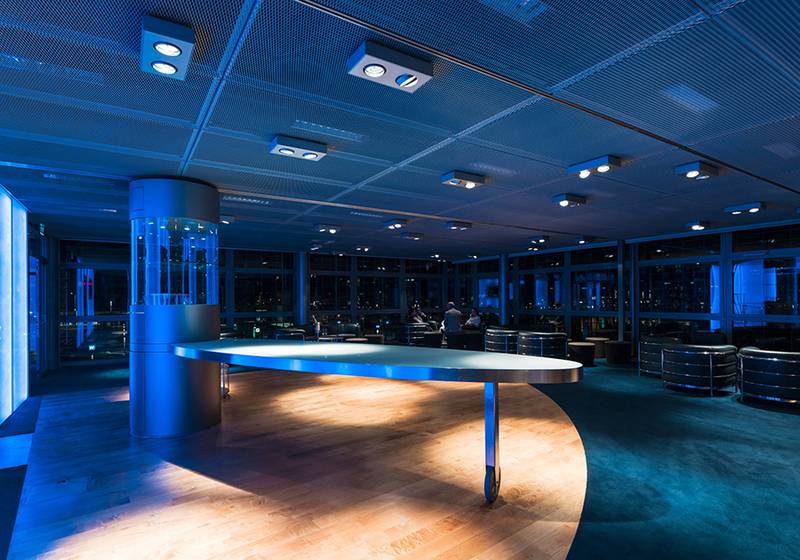 The oval-shaped bar, as well as various sideboards are movable, allowing flexible and individually tailored use of the space. 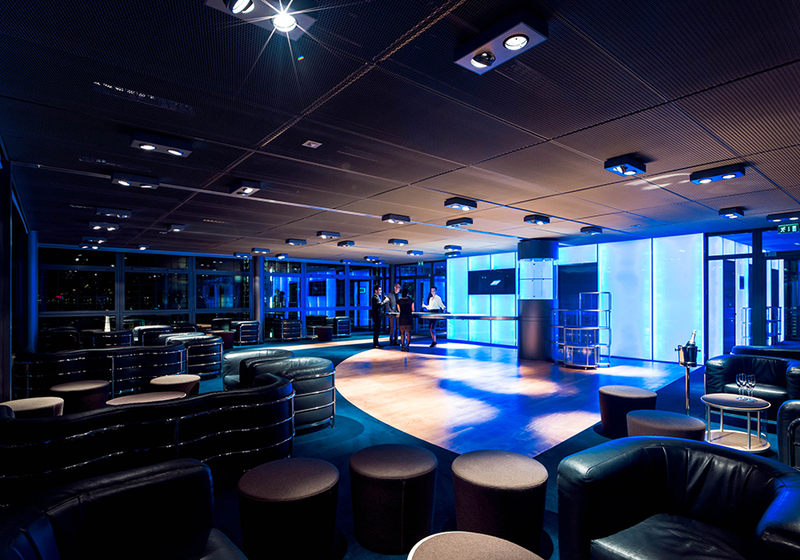 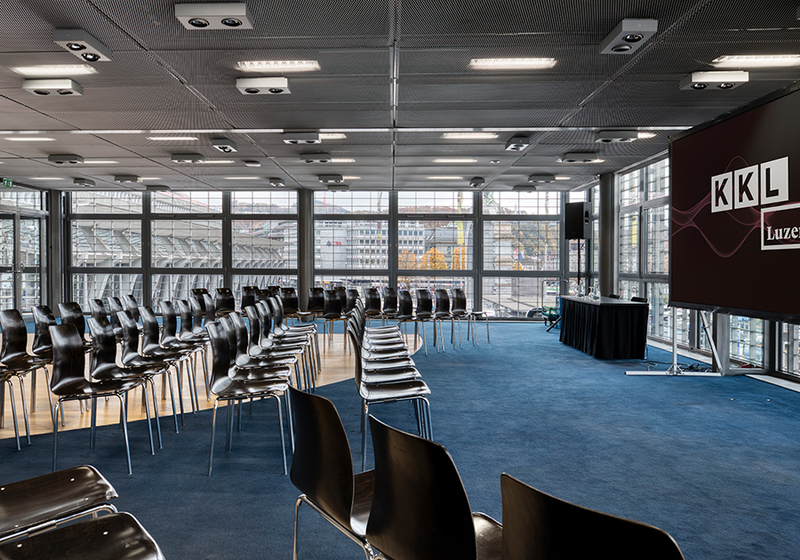 With dimensions of 160m2, the Lounge is ideal for events with around 50 (seated) people. 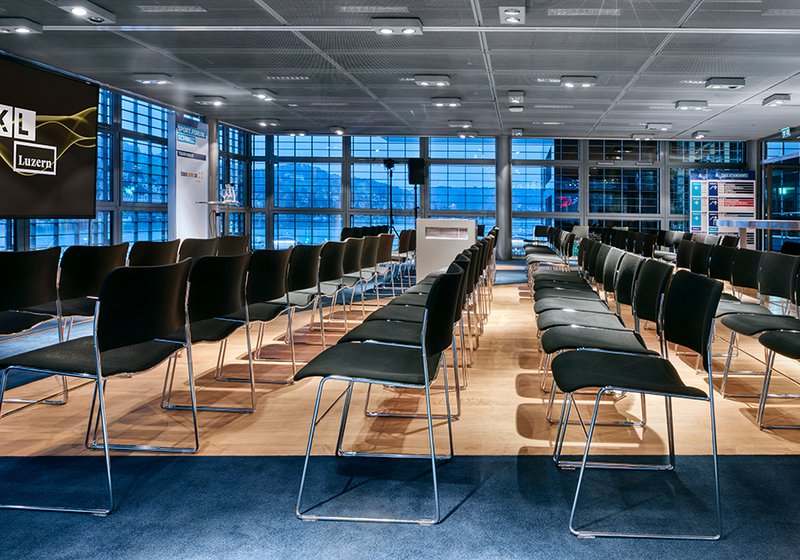 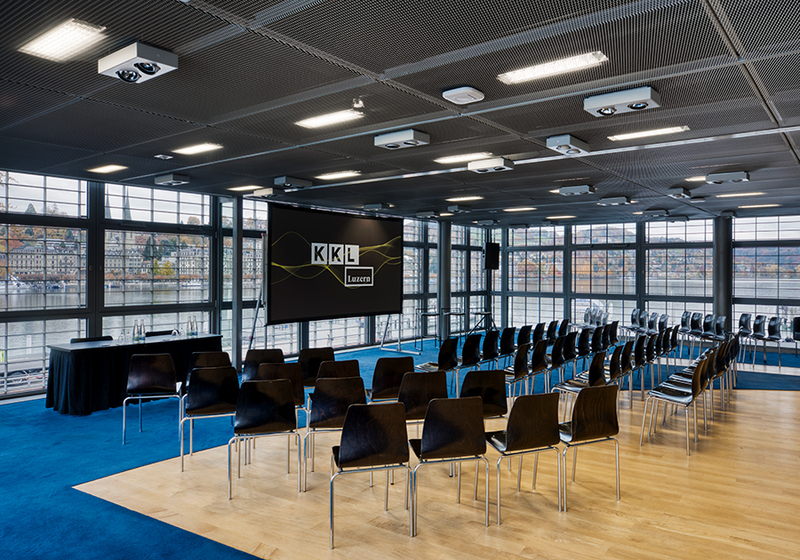 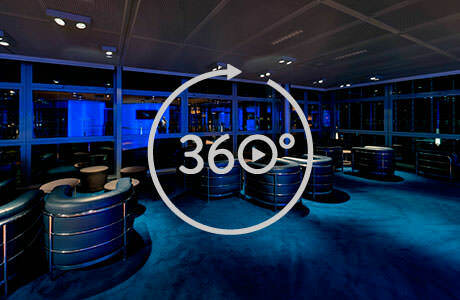 It is located on the second floor of the KKL Luzern on the railway station side. 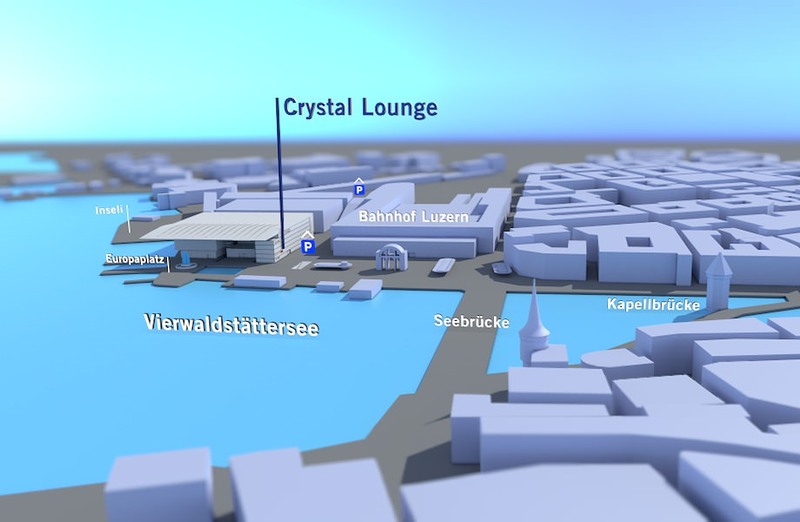 From here, you have a wonderful view over Lake Lucerne. 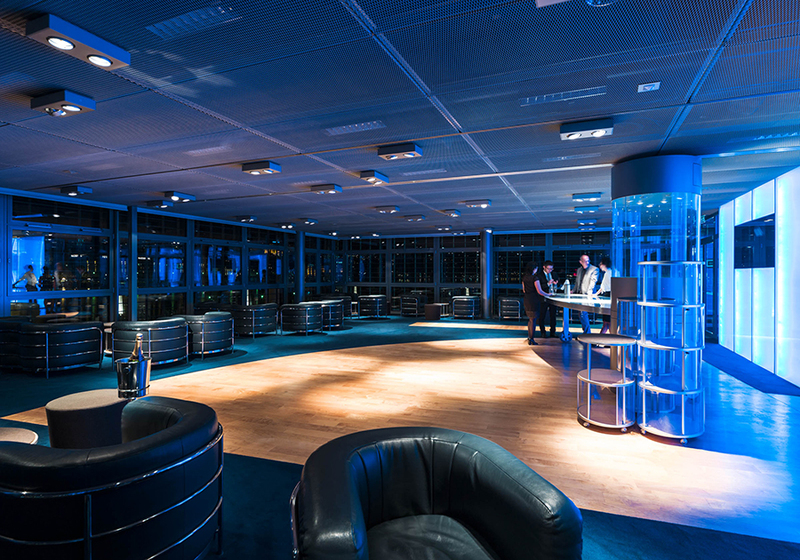 Our event team will be pleased to tour the premises with you and advise you how the Crystal Lounge can be best used for your customer reception, business meeting or staff event.